Titan Heath Thomas, the one and only son of Tiffanie and Trent Thomas, appeared to be a chunky, healthy little boy in all the sonogram pictures leading up to his arrival. His parents, who had married exactly a year and one day before he was born, had no inclination that Titan would face health issues and challenges for the rest of his life. They readied themselves like every other set of first-time parents: arranging a nursery, celebrating with family and friends, dreaming of his 10 tiny toes and 10 tiny fingers. It’s easy to imagine their shock when Titan was born with an encephalocele, or, according to the Centers for Disease Control, a sac-like protrusion of the brain through an opening in the skull on the back of his head. At only eight days old, Titan went through his first brain surgery. In addition to being born with an encephalocele, “Mighty Titan,” as he’s called by family and friends, has hydrocephalus. The Mayo Clinic describes hydrocephalus as the buildup of fluid in the cavities (ventricles) deep within the brain. The excess fluid increases the size of the ventricles and puts pressure on the brain. There’s no cure, but with proper treatment, issues caused by hydrocephalus can be managed. 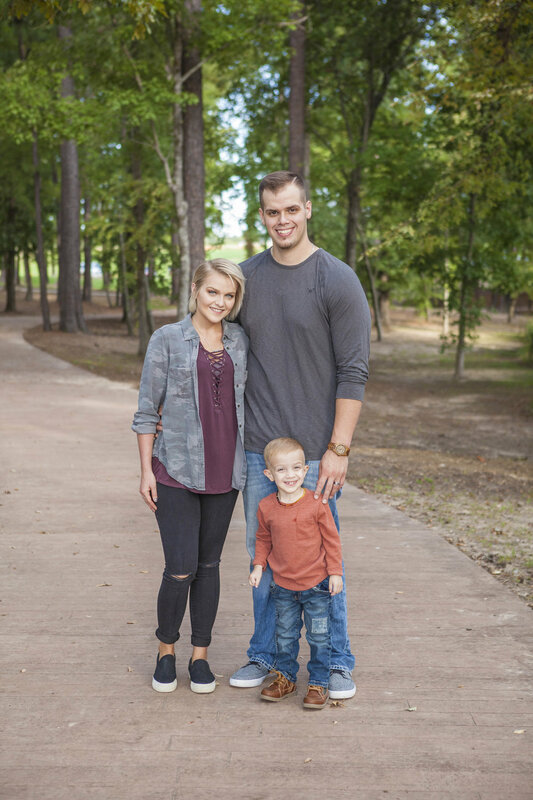 Titan had a second brain surgery before his first birthday, and his parents made many trips back and forth to Arkansas Children’s Hospital in Little Rock for the first year of his life. The shunt Titan had put in his brain in January of 2017 drains from his head to his stomach. He will have it for the rest of his life. Titan was born on December 14, 2015, and this photo was taken of him right before he was airlifted to Arkansas Children’s Hospital in Little Rock. Despite the typical mischief of a toddler, and the joy and happiness he brings to his parents, there have been tough times for the young family in the past few years. Undoubtedly, there are more challenges ahead as they raise their precious boy. 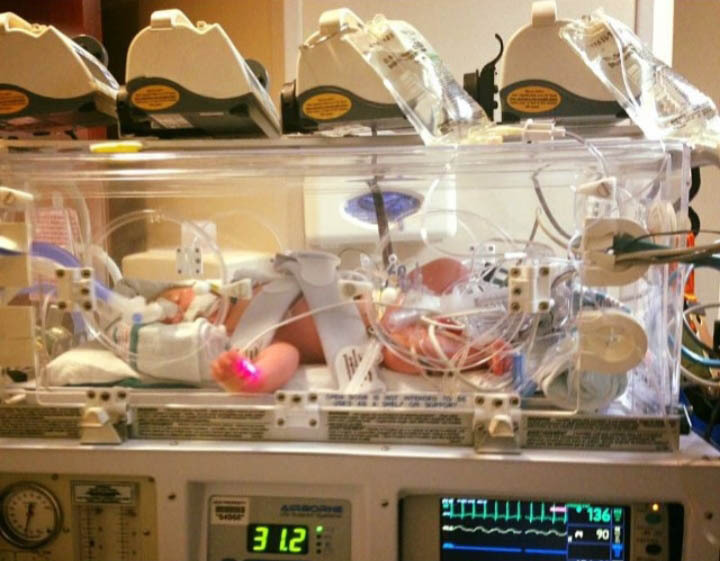 Titan spent two weeks at Arkansas Children’s after he was born. Looking closely, you can see the encephalocele pocket on the back of his head.